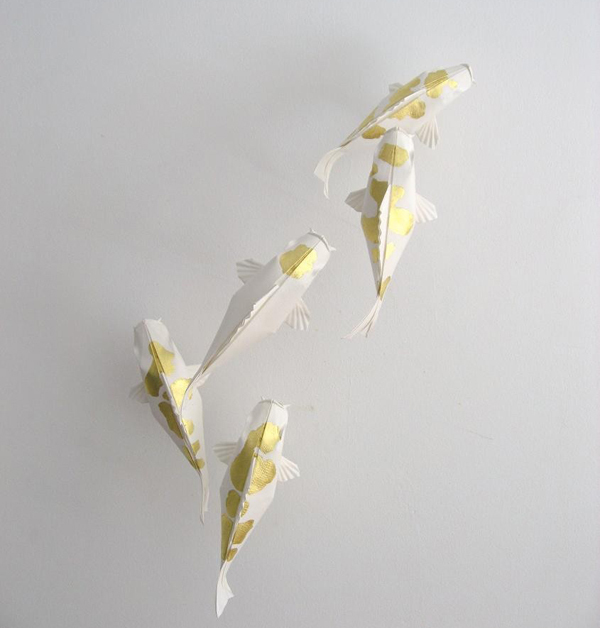 "These Koi where folded and design by Sipho Mabona. Each was folded from one uncut square of archival quality aquarell paper (to ensure longevity) with 22.5 carat gold leaf appliqué (applied after folding). Some of the patterns of the fish emulate those of All Japan Show Grand Champions."